Lena is a teenage girl living in a dystopian society in the near future. Scientists have found a way to cure the dangerous disease “deliria” and now everything is simple and easy. The downside to this is that deliria is actually means love, so once you are “cured” you no longer feel love for anything. A group of “Invalids” refuse the cure and live on the edges of society, rebelling against the mandatory cure and all it stands for. Lena’s life begins to change as she nears her 18th birthday and the date for her cure procedure. He best friend Hana and a new boy named Alex start to challenge her world view and she starts to question the truths she has been told her whole life. The thing I loved about this book is that, just like The Giver, it focuses on how truly being able to feel things affects every aspect of life. It’s a believable premise because anyone who has been in love understands that it can feel like a disease. The anxious feelings, heartbreak, excitement, etc. all of that goes hand-in-hand with the early stages of a sickness and it’s understandable that people might want to eradicate those feelings. I love that it deals not only with romantic love, but on love of al kinds. People who have had the “cure” aren’t just content to settle into their life with their assigned mate, they lose interest in almost everything. They often no longer enjoy their favorite hobbies. They don’t show affection for their children or pets. They let all old friendship fall away, etc. Yes, they are spared from feeling depression or pain, but all of the joy is gone as well. This isn’t just a love story, though that’s a crucial aspect of the book. It’s more about how love is what gives you a passion for life. It’s the think that makes friendships for wonderful and children so important. Being able to love something means you can hear and song and your hold world stops. The pain is just as important as the joy and a life without either isn’t worth living. BOTTOM LINE: I couldn’t put this book down. Sure, there are bits that are predictable and the characters feel a bit hollow sometimes, but the book did such great of a job of holding my attention that I’m wasn’t too worried about the writing being perfect. I will definitely be reading the rest of this series. Following on the heels on Lana’s escape into the Wilds at the end of Delirium we learn what happened to her in that new world. She’s still struggling to change the whole way she thinks about her civilization. Some of the things she’s been told her entire life are deeply ingrained in her psyche and that doesn’t disappear overnight. We meet a new cast of characters as Lana is integrated into a society of Invalids and learns how to survive in that new world. I was less impressed by Oliver’s second installment of the Delirium trilogy. 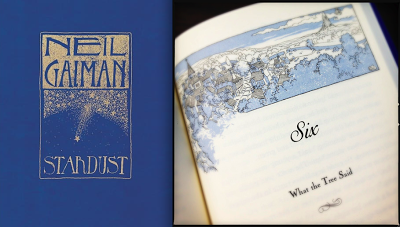 I really liked some of the elements, learning about the people who lived underground, etc., but other aspects fell flat. Discovering Alex was still alive at the end of the book made the whole thing feel a lot like a Hunger Games knock off. He is now the scarred boy who sacrifices himself to save a girl and then is angry with her when they’re reunited; it felt like a weaker version of Katniss and Peeta’s story. I still enjoyed parts of it, but I wasn’t a big fan of the Julian and Lana love story. It felt like a retelling of Delirium only this time Lana took on the same role Alex had in the first book. It was she who had to tell Julian that she was an Invalid. She had to open his eyes to the “real world” and then she had to save him from getting the cure/being executed. It was almost the exact same story in so many ways. BOTTOM LINE: Though this one was a bit disappointing, I have high hopes for the final book in the trilogy, Requiem, out in next week (March 5.) I think that Oliver has the opportunity to wrap up the series in a powerful way and I hope she doesn’t just fall back on the forced love triangle to fuel the bulk of the story. 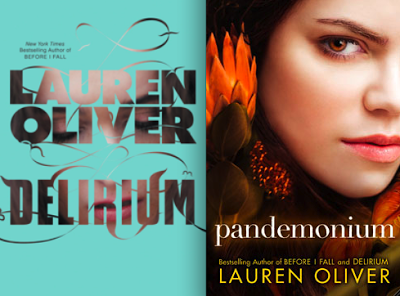 Oliver also released two novellas connected to the Delirium series. 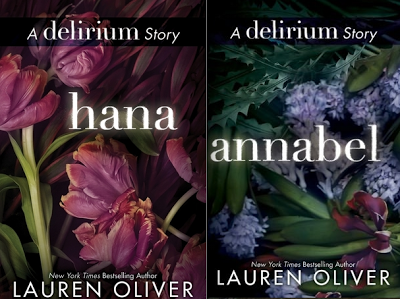 We learn Hana’s side of what happened during the time period in Delirium. She is rebelling while Lana tries to play by the rules. There’s an interesting twist at the end, but overall I would have been more interested to know what happened to Hana after Lana escaped to the Wilds. The story fills in a few holes in Delirium, but it’s lacking in too many ways. This is the story of Lana’s mother, Annabel, and her eventual imprisonment. I loved learning how she fell in love with Lana’s father. Even if their story was a bit far-fetched, I still liked it. It gave a great depth to the character we only glimpse in Delirium and Pandemonium. I hope Annabel plays a bigger role in the final book. The Huz fishing in Montana. This week's Top Ten from The Broke and the Bookish asks for the Top Ten Authors That I'd Put On My Auto-Buy List. These are authors that you love so much you as no questions about their latest book, you just add it to your wishlist. I have lots of classic authors that would fall into this category, but I’m only going to list authors that are still writing books. The Russian author, famous for his poetic style, wrote this autobiography about the first few decades of his life. There’s no strict format, instead Nabokov reminisces about his childhood and shares morsels about his books, but it’s the language more than the content that stands out. His descriptions and prose are so vivid that it’s easy to imagine yourself chasing after butterflies along side him. Though the book isn’t long, don’t expect a quick read. The author’s nostalgic meanderings make for a leisurely pace. His memories can be very detailed at times, though he always maintains an elegant aloofness in his imagery. Bits about his life as a lepidopterist and his interpretation of the alphabet as a variety of colors were particularly entertaining. BOTTOM LINE: Nabokov’s lovely writing makes this autobiography interesting, but I wish I’d read his complete catalogue of work before diving into this one. It’s a must for avid fans of his work, but I would recommend starting with his fiction. I was bored to tears by this one. 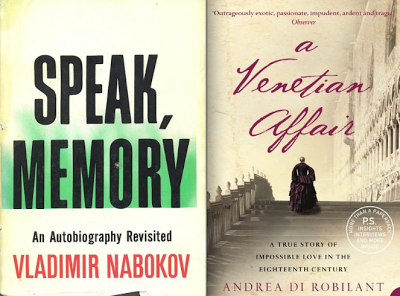 It’s the nonfiction account of a love affair that took place in the 18th century in Venice. The author wrote the book after his father found a collection of letters between their ancestor, a Venetian nobleman, and a young woman. It started out strong and quickly pulled me in, but soon the story was bogged down with a nonstop back and forth. 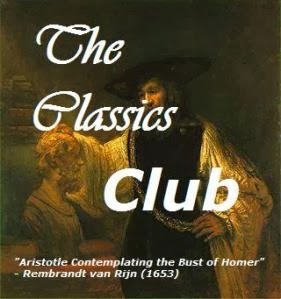 The melodrama between the lovers, the restraints of their society and their different social classes made the whole thing impossible. I felt like the book could have been much shorter, but the author wanted to include every scrap of correspondence he had between the two. BOTTOM LINE: The story is interesting because it’s nonfiction, but it should have been much shorter. What should be a fast-paced love story quickly became a tedious tug-of-war. Christopher Banks is only a young boy living with his family in China when he is orphaned. He is sent to live with an aunt in England where he grows up to become a well-respected detective, driven into that line of work because of his deep desire to solve the mystery surrounding his parents’ disappearance. In many ways the book is clearly a recreation of Great Expectations; even down to the details of a large inheritance providing a future for the main character and his infatuation with a cold and calculating woman. When Christopher returns to China midway through the novel, the plot becomes muddled. We drastically shift gears and the book never quite recovers. The first half was beautifully written and paced and the second half never seems to be able to decide which story it wants to focus on, that of Christopher’s search for his parents, his childhood friendship with Akira or his infatuation with Sarah. I also wasn’t expecting it to be a detective novel of sorts. Ishiguro’s writing still completely captivated me despite the flailing plot. It almost doesn’t matter what the subject matter is, I just love his writing style. From the dystopian Never Let Me Go to the period drama Remains of the Day, he hasn’t let me down yet. BOTTOM LINE: I will never regret reading a Ishiguro novel. Even if it doesn’t live up to my expectations it’s still a lovely experience. I would recommend starting with Remains of the Day if you’re new to his work. Save this book for after you become a huge fan of his work. So just a reminder, Trish and I are hosting our Vanity Fair Readalong over the next month. We are starting today, checking in once in the middle on March 1st at Trish's blog and posting our final thoughts on March 15th here on my blog. It will be very laid back. If you miss one post or something don't worry about it, but we'd love to have you read along with us! I'm excited guys. I just started reading and it's already really funny. From the first few pages I can already see how the character of Becky Sharp could have inspired parts of Scarlett O'Hara. Quite a few of us are reading an audio version narrated by Wanda McCaddon. We are aiming to reach Chapter so we'll aim for completing the first 34 chapters by the check-in point on March 1st. That should put us right around the middle of the book. 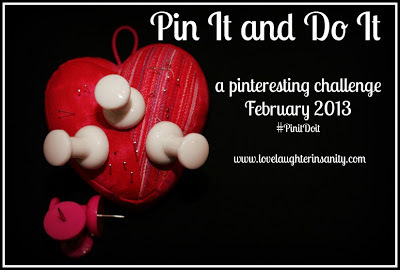 If you're interested in participating, sign up with the Linky post below. You don't have to do a start up post unless you'd like you. Don't forget to join the conversation on Twitter as well, #YoureSo Vain. If you want to include your twitter handle in the comments below we will try to include you in any update tweets! 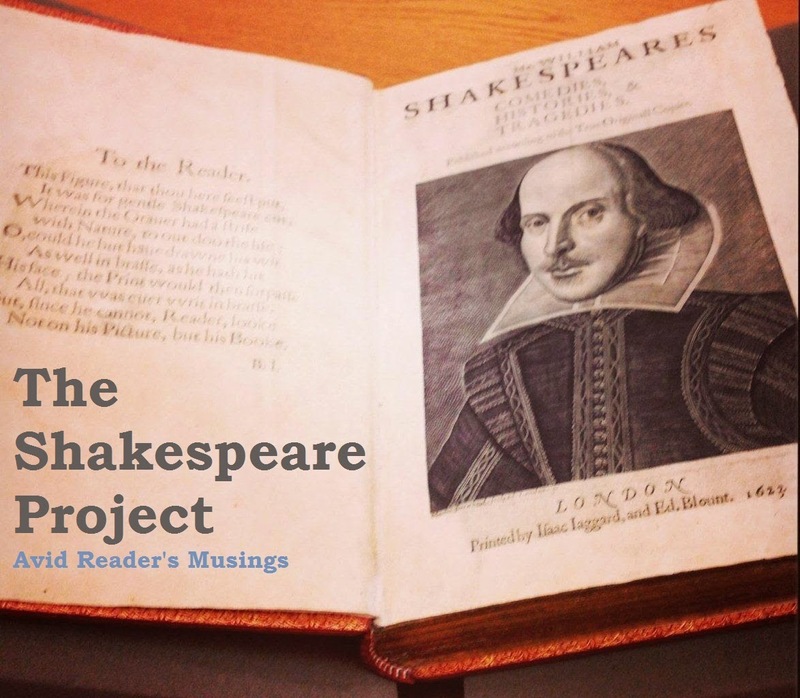 I’ve loved Shakespeare’s work for a long time, but I’ve always struggled with his Histories. I enjoy seeing them performed live, but when I read them it’s easy for me to get lost in a sea of soldiers and forget who is who. This play is preceded by Richard II, Henry IV, Part 1 and Henry IV, Part 2, and the last two feature our illustrious title character, Henry V.
This particular play rises above the other histories in my opinion because it’s more about the transformation of one man than about war. Obviously there is war and a bloody one at that, but it’s also about Henry (Prince Harry) coming to terms with his responsibility and leadership. He must grow up and leave the boy from the Henry IV plays behind. The lives of so many men are in his hands and without his leadership all will be lost. Think about what he is actually saying there. This huge moment in history, the Battle of Agincourt, is so important that the men who weren’t here will wish they were. They won’t consider themselves real men because they were unable to fight in this battle. What an incredible thing to say to your men before rushing in to battle! I also really love the scene with the French princess, Katharine, and Henry at the end of the play. It’s one of the only moments in a very serious story that is a bit light and witty. BOTTOM LINE: It is a classic for good reason. 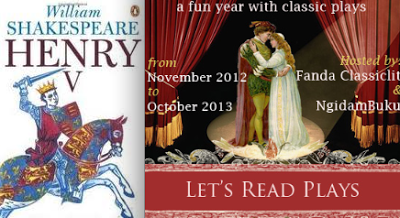 While I struggle with Shakespearean histories, others love them. I don’t think it’s the best place to start with his work, but it’s certainly an essential piece. I think I will probably enjoy it more with each re-read as the language and action becomes even clearer. **Also, I would highly recommend the 1989 film version starring and directed by Kenneth Branagh. I watched it after finishing the book and it was really excellent. I have always been impressed with Branagh’s Shakespearean films. I particularly love his version of Hamlet and Much Ado About Nothing. Dauphin Island Audubon Bird Sanctuary after a forest fire. 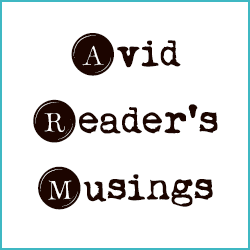 This week's Top Ten from The Broke and the Bookish asks for my Top Ten Favorite Romances. There will be some SPOILERS if you haven’t read these books. 1) Anne and Captain Wentworth in Persuasion – Their love withstands years of separation and rekindles in the most beautiful way. 2) Anne and Gilbert in the Anne of Green Gables series – I love that we get to see their whole relationship, from courtship through marriage and children throughout the series. 3) Henry and Clare in The Time Traveler’s Wife – Spanning almost Clare’s entire life, these two had a romance that defied fate. 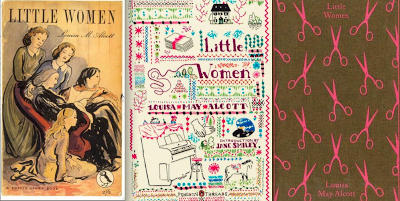 4) Jo and Professor Bhaer in Little Women – I know most people rooted for Laurie and Jo, but re-reading this as an adult made me fall in love with Bhaer along with Jo. They were perfectly suited for each other and they both thought they would probably never find love. 5) Thursday and Landon in the Thursday Next series – What would you do if the man you loved was completely erased from existence? Thursday has to deal with this, yet the books are still hilarious. 6) Levin and Kitty in Anna Karenina – Sure, Anna’s romance is more dramatic, but Levin and Kitty were always my favorite. Their relationship was not an easy one. They both had to mature before they could be together. Their relationship shows that real love is hard work, but worth every second of it! 7) Lucy and George in A Room with a View – The ultimate question in a good romance; do you marry the sensible guy or do you throw caution to the wind and follow your heart? This book has one of the best examples of this kind of romance that I’ve ever read. Plus, they meet in Florence, which is just a lovely bonus. 8) Marco and Celia in The Night Circus – A ridiculously difficult obstacle to overcome, magic in the air, what more could you want? 9) Arwen and Aragorn in Lord of the Rings – A romance that was relegated to the Appendix for the most part, but undoubtedly swoon-worthy. To be together Arwen must give up eternal life, but she knows that a short lifetime with him is better than an eternity without him. The story opens in an Italian neighborhood in the Bronx in the 1950s. Our narrator is a young boy named Anthony who is frustrated when his cousins and aunt move into his cramped apartment over the holidays. The story morphs into something new as our narrator changes to Anthony’s mother and then to his aunt Leonora, then his cousin. 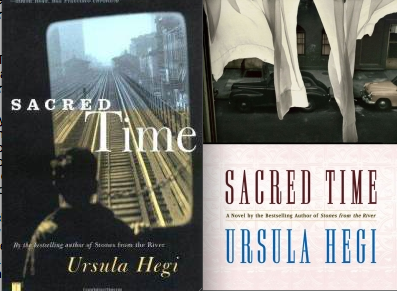 The book covers three time periods as well; first the ‘50s, then the ‘70s, and finally the early 2000s. We watch as the family grows and changes over the course of those decades. We see how a single event can resonate throughout the lives involved. Each of the stories ties the whole picture together, giving a wide and wonderful look at what makes a family a family. How we are able to both hurt and help each other so much more when we are connected by blood. I really enjoyed every second of this book. It’s not that the story itself is particularly startling; it’s that the characters are so beautifully drawn. They feel like they could be people from our own families. They struggle with the same hurts and unhappiness and guilt that plague us all from time to time. BOTTOM LINE: What begins as a simple coming-of-age story quickly becomes a powerful look at family dynamics. I’m so glad I stumbled upon this one and I will be searching out more work from this author. p.s. I listened to the audio version and it was excellent! This month's Where in the World Are You Reading theme is Comfy Spot, hosted by Kelly. There are lots of comfy spots I like to read, my bed, the living room couch, etc., but there's one I love more than all the others... my library! One of the very posts I ever wrote for this blog was about my library. After living in apartments for years I finally got a house and the Huz suggested we use one of the main open rooms for a library instead of a dining room. Have I mentioned I love him a lot? So although he isn't a reader, I now have a beautiful library in my home, full to the brim of my favorite books and those I still have waiting to be read. Above you can see the entire library with two comfy chairs (one of which has a dog in it). I have a Paddington train station clock on the wall and a canvas print of Ollie (both lovely gifts from my BFF). I have a wreath on the coat closet door made with dictionary pages. And of course, I have tons of book cases filling every available space. I also have my Penguin clothbound classics collection on top of one of the bookcases. I add to it whenever I get a giftcard to a bookstore. Note the string of TARDIS twinkle lights and the stacked book tables. Every single bookcase is dedicated to a specific genre and is organized alphabetically within that category. There is nonfiction, ficiton, poetry, short story collections, YA, SciFi/Fantasy, audiobooks, graphic novels, travel, classics, etc. I also have separate areas for favorite books. In the bookcase on the left I keep all of my vinyl records and travel books. 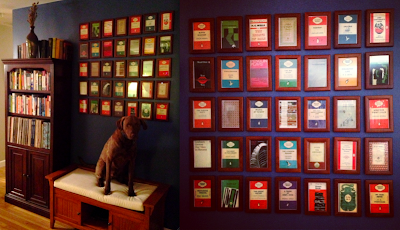 Then there's Ollie posing with the framed Penguin postcards and a close-up of those postcards! The final photo is of the bookcase that holds all my favorite books. I think it's suppose to hold dishes or something, but it makes a great bookcase! I also keep fun little souvenirs in here. I have a lobster bell from my Grandma's bell collection, a cable car from our trip to San Francisco, a red London phone booth, a tea cup from my Mom, a personalized Jones bottle with a photo of me and the Huz on the label, and other random stuff. So that's my favorite comfy reading spot. This is where I spend most of my time during read-a-thons and where I get away when I want some quiet reading time. It's my happy place. Set during the Civil War the March family is left with no men in their household when their father is sent off to war. The remaining house full of women is left to manage on their own. 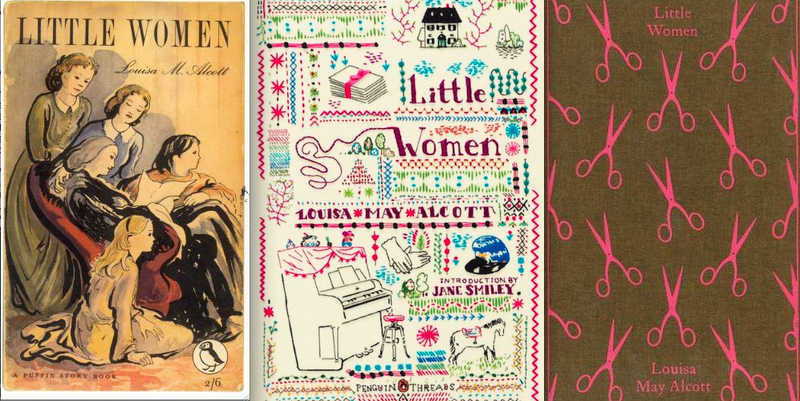 Re-reading Little Women as an adult was an even richer experience. I returned to these beloved characters with fresh eyes. Amy and Laurie’s blossoming romance, born of their gradual maturity, was even more poignant. 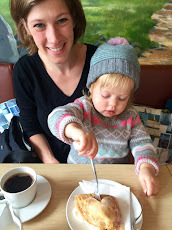 Meg’s trials as a new wife and parent were much more relevant now. I love watching Meg learn how to be a wife and mother; trying to trust her husband as a parent and discovering that there are much greater joys in the world than having nice things. The other characters, neighbor Laurie, selfish Aunt March, sweet Hannah, etc. are engraved in my mind forever. I longed to be there, in their world, acting out the Pickwick Portfolio with them in the attic. I loved Mr. Brooke’s character so much more this time around. I’d forgotten how sweet he is while wooing Meg. In the movie it happens so quickly, but in the book it’s all quiet yearning and even a lovely story of a knight’s search, a thinly veiled look at Mr. Brooke’s true feelings for her. On Jo’s romantic relationships; so many people wish she’d end up with Laurie, but as I re-read the book it made complete sense to me why they didn’t end up together. I love what Marmee says to Jo about it, that they would never work because they are too much alike. They both adore their freedom; they have stubborn natures and fiery temperaments. They aren’t suited for marriage and you can’t force romantic love where it doesn’t exist. Laurie was always a brother to Jo and she couldn’t see him as anything else. Professor Bhaer, on the other hand, is the calm and gentle balance to Jo’s brash nature. He understands her and supports her writing. He challenges her to be the best she can be, but he does it in a kind way that never makes her defensive. He is poor, but he still manages to give her an entire library between the covers of a single book, his complete collection of Shakespeare. They get to know each other through their actions and they see each other’s true characters. She watches him with the children in the boarding house and she can’t help but love him, even though she doesn’t recognize it as romantic love at first. One of my favorite things about this book is that they’re never forced into a specific life style. Marmee encourages every single one of them to pursue the things they love; Amy with her art, Jo with her writing, which takes her all the way to New York by herself, Beth is never told to go find a husband, etc. She lets Meg marry John even though he’s poor. She asks only that they wait a few years until Meg is older. She wants them to excel in the field of their choice and to always show kindness to those around them. It’s such a wise way to raise your children, showing you trust their decisions while at the same time gently guiding their natures. BOTTOM LINE: Read it as soon as you can! It’s relevant in every stage of life, offering fresh advice depending on your personality type or current trials. I will be re-reading this one every decade for as long as I live.